Without regular drain cleaning, your drains may become problematic overtime and become susceptible to clogs. At Urban Tide Plumbing we offer excellent drain cleaning services throughout Melbourne. 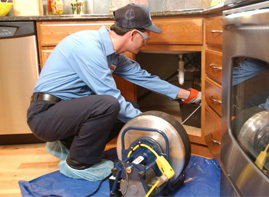 We use the latest methods and equipment to ensure that your pipes are cleaned safely and effectively. Overtime they can accumulate a significant amount of debris, including organic waste, hair, soap scum, and grease. Contact Urban Tide Plumbing today to get your drains cleaned!